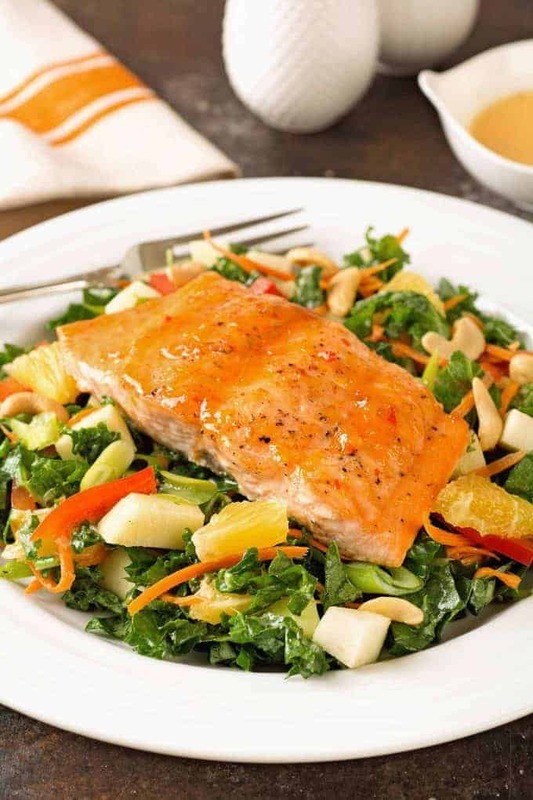 This hearty salmon and kale salad is a favorite of ours during winter months when oranges are at their peak. The salmon fillets are glazed with a simple blend of sweet Thai chili sauce and fresh orange zest and oven-roasted for a short time at a high heat to be sure the salmon stays tender and moist. 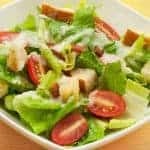 While the salmon cooks, the salad ingredients are tossed with a light and creamy dressing that includes orange juice and a little of the same glaze mixture used on the salmon. 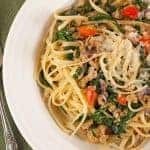 By repeating those ingredients in the dressing you get a combination of sweet and savory flavor in every bite. To make a tropical version of this salad, you could replace the kale with a combination of spinach and spring greens and swap out the apple and orange for fresh pineapple and strawberries. For the glaze, just omit the orange zest and replace the orange juice in the dressing with pineapple juice. We always recommend using wild-caught salmon when you can. The health benefits are well worth the extra cost per pound and you’ll be helping the environment too. 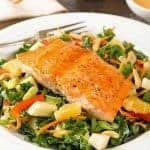 This colorful oven-roasted salmon and kale salad is loaded with healthy ingredients, easy to prepare and makes a satisfying dinner or hearty lunch. Preheat the oven to 500°F, line a shallow baking pan with foil and coat with nonstick spray. Season both sides of the salmon with salt and pepper and arrange on the prepared pan. 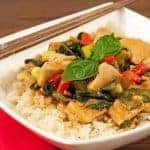 Combine the Thai chili sauce and orange zest in a small bowl. Transfer 2 teaspoons to a separate prep bowl for use in the dressing, then spread the remainder of the mixture evenly over each piece of salmon. Roast the salmon for 6 to 8 minutes (depending on thickness), remove from the oven and set aside. 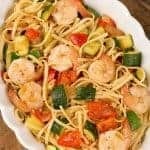 While the salmon roasts, prepare the dressing by whisking the vegetable oil, mayonnaise, lemon juice, orange juice and cream together in the bottom of a large salad bowl until smooth and creamy. Add the shallot and reserved Thai chili mixture and whisk to combine. Add the apple, orange segments, red bell pepper and carrots. Toss with the dressing and season to taste with salt and freshly ground black pepper. Add the kale, toss to coat with dressing, taste again and adjust the seasoning as needed. Add the cashews and scallions, give the salad a final toss and divide between 4 serving plates. Top each salad with a portion of salmon and serve immediately. Let us know how you liked it – leave a comment and a star rating below.